Serving innocent accident victims and their families throughout Louisiana from our law office in Baton Rouge, Arnold & Itkin provides the exceptional, aggressive advocacy you need to help you recover the maximum amount of compensation you deserve for the injuries and losses you sustained as the result of an industrial accident or any other type of serious personal injury. Established more than 10 years ago in Houston, Texas, our law firm has become one of the region's leading personal injury practices, and we have recovered more than a billion dollars in total settlements and awards for our clients. Recognized for our success, our lawyers have earned numerous awards and honors, including recognition from The Best Lawyers in America and the National Trial Lawyers as being among the top trial advocates in the country, and U.S. News & World Report has voted us as one of the "Best Law Firms in America." 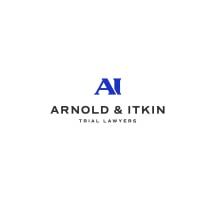 Here at Arnold & Itkin we handle all types of personal injury claims, such as those arising from motor vehicle accidents, defective products, medical malpractice and more; however, we are also one of the leading legal practices for those whose injury or loss came as the result of an oil rig explosion, an offshore/maritime accident, a railroad or aviation accident, a plant or refinery accident, or any other type of industrial accident. To begin the process of obtaining the justice you deserve, you can contact our law office to speak with one of our attorneys at no cost. Compassionate and responsive, we will always remain accessible to address your concerns, and we promise to do whatever we can to assist and support you and your family during your difficult and uncertain time.